All optical subtractors are one of the optical digital devices that will play crucial roles in the next generation all optical data processing. 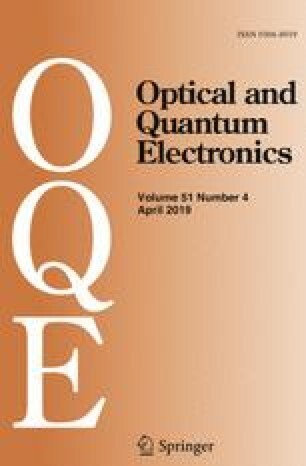 In this paper we used three nonlinear photonic crystal based ring resonators for designing a novel structure for realizing all optical half subtractor. In the proposed structure X and Y are the input ports and D and B are the output ports. D is on when one of the input ports is ON and the other is OFF, however B is ON only when X is ON and Y is OFF. The maximum rise times for D and B are 2 ps and 3 ps respectively. Also the maximum fall times for D and B both are about 1 ps.